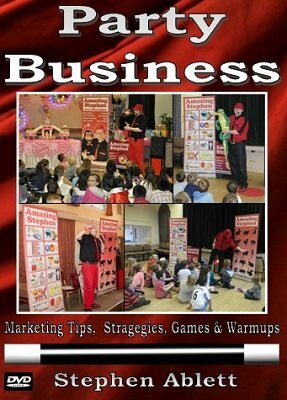 If you have ever wanted to be a children's entertainer then this download DVD will teach you everything you will need to know from advertising and marketing strategies to the party games he plays and equipment he uses. Stephen discusses everything about his show and business strategies including all the tactics which have made his one of the business children's entertainers in the UK. How many shows do I do? 1st edition 2014, length 2h 25min.